Fierce Whiskers is a new entrant to the whiskey market from Austin, Texas. To get their brand off the ground, they turned to The Butler Bros, an agency that specialises in naming, narrative and visual design. The good news: The Butler Bros did an incredible job. Through smart, insightful design they were able to create a brand that is at once premium, authentic and trustworthy. It has all of the design cues one might want from a whiskey, giving it a sense of heritage, but it also stays entirely on trend with current liquor design. This entry was posted in Design and tagged Design, Fierce Whiskers, Liquor, The Butler Bros on February 28, 2018 by stellenboschacademy. There’s nothing we love more than sharing the incredible work our students produce and this is one of those times when we get to do so. The first brief for the 3rd year Graphic Design students looked at Impact design, which is based on the impact that values and behaviours of human kind would have and has had on environments, society itself and economies. The students had to write their own stories deduced from a current issue but interpreted into fiction. This project therefore required that the students create a set of books, which was written, illustrated, hand bound and packaged by them reflecting life on planet Earth in the year 2018. The full exhibition can be viewed during OPEN DAY on the 3rd of March 2018. If you’re interested in seeing this work at our open day, check out this post here for details. This entry was posted in Academy Work, Design and tagged Academy Work, Design, Illustration, Stellenbosch Academy on February 27, 2018 by stellenboschacademy. Wow! What a great piece of multimedia design by Hook. This website, which was designed for YouTube Rewind 2017 (A kind of highlight video of all of YouTube’s best content for the year) has a great navigation design, which explains all of the memes, content and ridiculousness that made the year what it was. Full marks if you get all the references! This entry was posted in Multimedia and tagged Design, Hook, Multimedia Design, YouTube, YouTube Rewind on February 26, 2018 by stellenboschacademy. We’re holding our next open day on 3 March 2018 and you’re invited! Opening times are from 10:00 until 14:00 with talks being held at 10:30 and 12:00. We’d love to have you around to show you the amazing place where we work. If you’re interested please RSVP here. This entry was posted in Academy Work and tagged Open DAy, Stellenbosch Academy, Stellenbosch Academy of Design and Photography on February 26, 2018 by stellenboschacademy. Stellenbosch alum Cole Ndelu is going from strength to strength. After being named a finalist in the Sony World Photography Awards she has also been listed on the Design Indaba website, as well as having a piece about her featured on Beautiful News South Africa. It’s always so gratifying to see our graduates do well and achieve! Cole – we’re so proud! 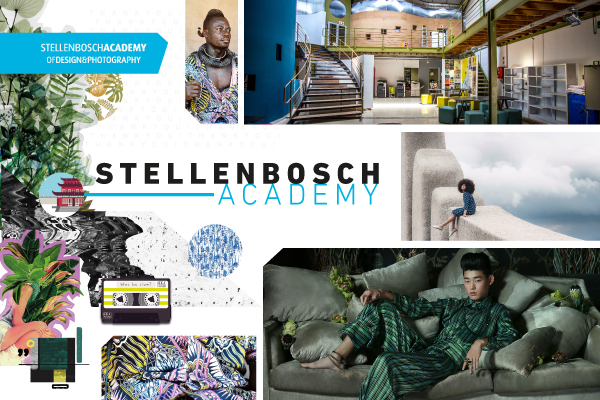 Being featured on the Design Indaba site is no mean feat! You can see more of Cole’s work on her Behance profile here. This entry was posted in Academy Work, Photography and tagged Cole Ndelu, photography, Stellenbosch Academy on February 26, 2018 by stellenboschacademy. Such a beautifully art directed and edited film from director Luca Finotti! Inspired by nothing but a T-shirt with the Versace logo on it, this film is the fit perfect for Valentine’s Day. This entry was posted in Art Direction and tagged Art Direction, Luca Finotti, Valentine, Versace on February 21, 2018 by stellenboschacademy. We love this! Japanese illustrator Ryo Takemasa collaborated with the Tawarasha Design Studio to create this beautifully illustrated Bird Handbook, highlighting some of the common birds that can be found in and around Tokyo. Sadly they were never actually for sale and were handed out at a Tokyo Midtown event, so to all the people who have a copy, consider us very jealous! This entry was posted in Illustration and tagged Birds, Book, Illustration, Ryo Takemasa on February 19, 2018 by stellenboschacademy.